The brief was to be at Duxford for crew briefing at 13:00 on 2nd October. All persons involved with the flight which was for the purpose of flight crew re-validation for CAA display authorisation were present, Elly Sallingboe, pilots, engineers, ground crew and other volunteers all of whom help keep Sally B in the air. After briefing some lunch and the walk to the aircraft, embarking on the aircraft is from the rear right side behind the side gunners position. Inside the aircraft its extremely spartan and large, walking forwards to the cockpit you pass the bomb bay which appears quite a small area by comparison to the vastness of the aircraft. The cockpit is stuffed full of levers and dials. Access to the front gunners position is through the cockpit floor. I made a short video filmed from all positions available to me on the aircraft, this can be seen here. B-17 Flying Fortress G-BEDF Sally B is the last remaining airworthy B-17 in Europe, from where she flies regularly at air shows, memorial flypasts and commemorative events as a memorial to the USAAF in Europe. 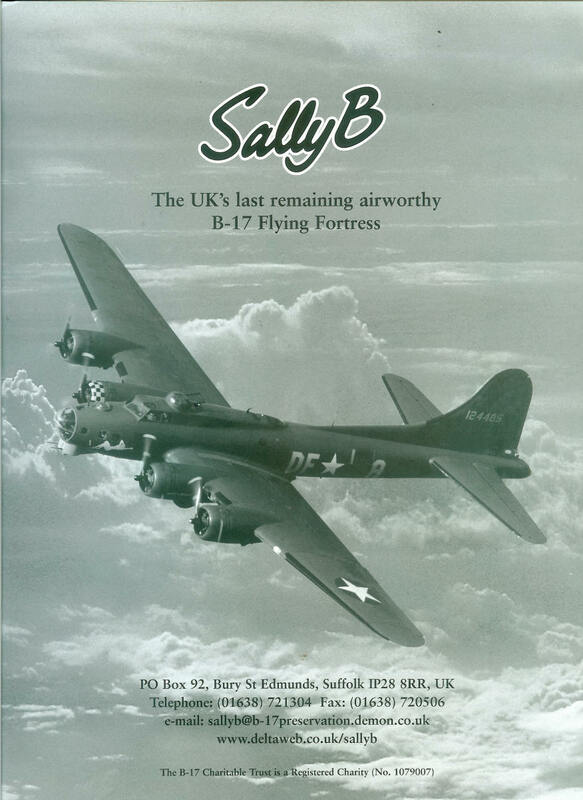 Since 1982, Sally B has been operated by Elly Sallingboe of B-17 Preservation with the help of a dedicated team of volunteers and the backing of one of the largest supporters clubs of its kind in the world – the Sally B Supporters Club. 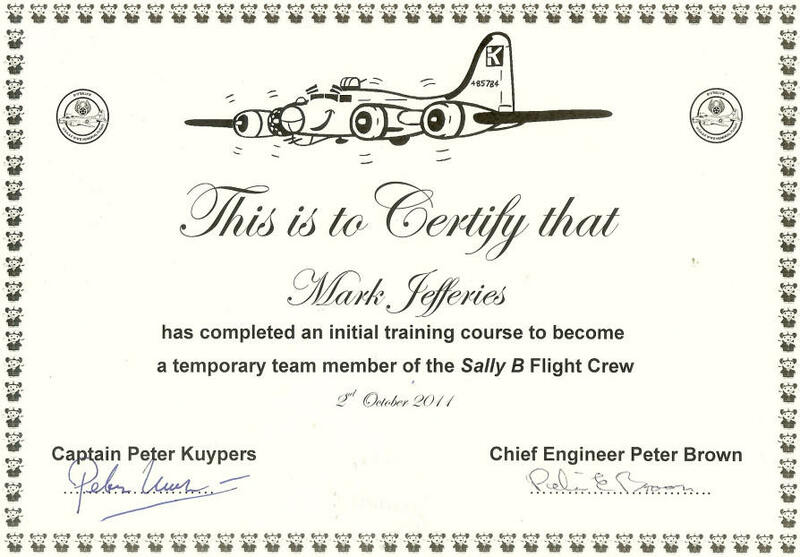 Sally B is maintained by Chief Engineer Peter Brown and his team of volunteers, and flown by volunteer experienced professional pilots. After the flight Elly kindly presented a certificate to commemorate the once in a life time experience.